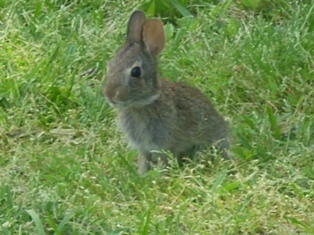 Okay, I realize that not everyone gets excited about a cotton-tail who hangs out in the yard. 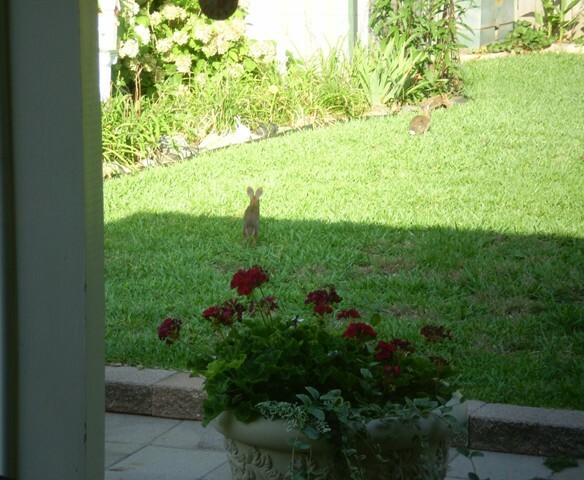 You may remember when the tiny, yes, tiny Bunny appeared just before Easter this year, and was thus titled the official Easter Bunny. So, it was a delight, and a bit of a surprise, when we noticed yesterday the sudden appearance of his new, er, girl friend? I managed to get a quick shot of them leaving the porch. 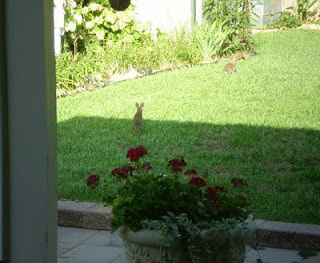 The Easter Bunny, near to the porch, is obviously delighted to have a new friend.